Are you thinking about doing yoga, but you have never done it before? If so, then there are a few tips you can keep in mind. Below are four yoga tips for beginners. One of the best ways to choose a yoga mat is to attend a yoga class at your local gym or studio. Most gyms will provide you with a yoga mat to use and you can decide if that is the kind of mat you want to use. If it isn’t, then ask the instructor what kind of mat you should buy. Some mats are very thin, while other mats are very thick and some have lines that are designed to help you stay aligned throughout your session. You can also go online and read reviews about different mats and this will help you determine which one you should buy. There are different names for different styles of yoga. Knowing what these styles are can help you determine which one you should try first. Classes may be labeled as Forrest, Classical or Bikram. Each style are quite different from one another and those are only a few styles. The best thing to do is to enroll in a yoga session, preferably a Classical class or a Hatha class. These classes tend to be the easiest for beginners to do and to learn. Once you become comfortable doing those styles, then you can start learning and doing other styles. When it comes to exercise, most people eat before they workout. However, when it comes to yoga, it is best to practice it on an empty stomach. If you can’t do it on an empty stomach, then do it 2-3 hours since your last meal. Also, during yoga, toxins are released from your body, so drink a few glasses of water leading up to your session. It’s important to wear comfortable clothing during yoga sessions. There are pants specifically designed for yoga, but make sure you choose something that is comfortable to wear and allows your skin to breathe. Also, don’t wear belts or excessive accessories because they can get in the way. Those are some of the best yoga tips for beginners. All you have to do now is enroll in a yoga class and keep the above tips and advice in mind. A beginner at any practice must structure their learning. In cycling, the same rule applies. The structure of cycling practice will determine the level of skill and enjoyment that results from training. A good training programs doesn’t have to be bought from a professional, although this may help. It is about discipline and commitment to getting better. A cyclist that works hard without a structure may not achieve as much as a cyclist with a consistent and dedicated practice routine. As with anything else, cycling needs to be a part of a balanced schedule overall to get the most out of it that you possibly can. Proper application of interval training with the right effort leads to improvements in endurance, training mentality, and ability. In addition to having the right cycling shoes, motivation and structure are important. Interval training is the cyclist’s version of training smarter while not harder. For those not in the know, interval training combines low-intensity cycling with high-intensity cycling with recovery times. The length of time dedicated to high-intensity vs. low-intensity is different for all people, however, there is no way to make a generalization on what is “standard”. Learning what is difficult and what is easier will likely provide the clues needed to arrange the interval training that works for you. Beginning to structure your cycling practice requires some self-observation. It is likely that recovery times will belonger as they body is not used to high-intensity work outs. Recovery times are just as important as high-intensity periods as they allow the body to integrate the activity from high-intensity workouts for more efficiency during warm-ups. This is essential for mastery of any sport. The body needs the right amount of fat, carbs, and protein to build muscle. Lets not forget balancing these needs with minerals and vitamins necessary for high endurance stress on the immune system! Usually, a beginner need not be too stringent in their diet. Living by the 80/20 rule is good enough to get individuals in shape. While 80% of the cyclist’s diet should be nutrient dense, the other 20% can be supplemented with treats such as ice cream or even the occasional slice of pie. The only challenge is that these foods can contain an addictive amount of sugar; consumption can lead to wanting only to consume more, so one helpful hint for the 20% of treats is to indulge in something that is low in sugar or at least made with natural and unrefined sugars. White and bleached sugar which is basically a deceptive large source of empty calories, and your cycling practice will not benefit in the long run! Even the best cycling shoes in Malaysiawill not be able to compensate for poor diet decisions. Training can get addictive. The release of endorphins and other chemicals in the body associated with feeling good are one of the best parts of getting in shape. Cyclists will experience “runners high” only through cycling. As you train, it will seem as if there is less of an opportunity to experience the rush of endorphins, as your body will eventually adapt to the rigors of cycling. Remember that is important to structure the cycling practice. You might need more high-intensity cycling in your routine and less warm-up as you progress, but consistency is better than sporadic and unorganized cycling efforts that cut into evenings with family or even early morning hours that should be devoted to rest. This will likely only result in frustration and a feeling that one can never train enough to get better. Sometimes this mentality is the result of stress brought on my imbalance. The rush of endorphins is only one aspect of cycling. When it comes to selecting a bike, there are a ton of factors that need to be taken into consideration before a purchase is made. Typically, there are varying degrees of biking enthusiasts, so you really are going to have to think about where you stand in terms of how important riding a road bike is to you, as there is a wide scale of products. Road bikes can cost as little as a few hundred dollars, or up to multiple thousands of dollars, so if you have been riding a bike for a long time and really know what you are looking for in a bike, you are likely only going to be looking for the highest quality bike manufacturers. One of the best road bike manufacturers in the business, who has been consistently one of the biggest names in the biking World for quite some time, is specialized bikes. They make top of the line products that their customers have been thrilled with, and you know if you have a specialized bike, that you are riding on a high quality piece of equipment. While there are usually a lot of different brands that customers have the ability to choose from, when a person gets comfortable with a brand, much in the same regards that a person gets comfortable and loyal to a car brand, they tend to stick to the same company. If you are one of these individuals that absolutely loves specialized bikes, you may want to start trying to get your products on the internet. While it is absolutely true that you really need to ride a bike to get the actual feel of the bike, if you have already ridden similar bikes in the past and know what type of model you are looking for, there is no question that you will be able to find a better deal online. This is based on the fact that there are way more online retailers, which creates lower prices for the same products, as these online retailers have to deal with the competition that they get from all of the other websites that sell Specialized bikes. If you have decided that you want to get yourself a brand new Specialized road bike, a great way to go about the process is head to a bike shop in your area and try out the different Specialized road bikes that they have available. If you find a bike that you really like, you should consider the price that the store is charging and take a look online. Chances are that you are going to be able to find a price online, for the exact same Specialized road bike, for a much lower price than you would be able to find in person. This is a great tactic that can be used if you want to save some money, but make sure they ship to your area. For example, if you are in Malaysia, make sure the company you are looking at will ship a road bike in Malaysia before you end up trying to place an order. How Do You Find A Good Cycling Jersey? A good cycling jersey will help you make sure that you are comfortable on the road, but you need to know what goes into a nice jersey that you would wear on the road. You have been riding on the road for a long time, but you need to make sure that you have found all the best jerseys so that you are in the right jersey when you get on the bike. The bike riding that you do will go much better when you are using the right jersey, and you will avoid problems that people have when they are in something that does not fit right. The material that is used to make the jersey needs to be made from spandex or a rayon blend. The blend will be able to breathe just a little, and you will be able to get a better fit from this nice jersey. The jersey that you are wearing on the road will help you glide through the air, and it will not catch the air when you are riding. You are moving at high speeds a lot of the time, and a fitted jersey will not catch the air and pull you off the bike. You also get better aerodynamics, and you will not slow yourself down. You are trying to be as streamlined as possible, but you cannot do that unless you have spent the money on a nice jersey. The fit has to be skin tight, but that is why you need to get the blend so that there is a smooth fabric on you. The fabric will feel much better because it will be smooth on your skin, and you will be able to get a size that you know will be skin tight. Most people will get a size that is one smaller than what they would normally wear. This helps you pick out the right jersey, and it makes you comfortable when you hit the road. The styling of the jersey needs to be in a colour that you like, and you should make sure that you have chosen something you want to wear. You will feel better about yourself, and it will make you feel like you can do anything. You need to get that kind of boost from your clothes, and you will be able to ride on the road where everyone will know that it is you. Riding in a jersey that fits right, feels good and is your style is very helpful because you will not have to worry about being uncomfortable when you are riding. The jersey is there to make you feel better about riding, and the jersey makes it easy for people to find you when you are on the road. People on your team can see you easily, and drivers on the road will be able to see you pretty easily. This is the best way to get the results you need on the bike. Cycling might seem like an easy hobby or type of exercise. The reality is that you need to have some knowledge about the proper way to use a bike in order to get the most from the experience. If you do things wrong while cycling, then you could be injured or get into an accident. Here are some tips that every cyclist should know when riding a bike. 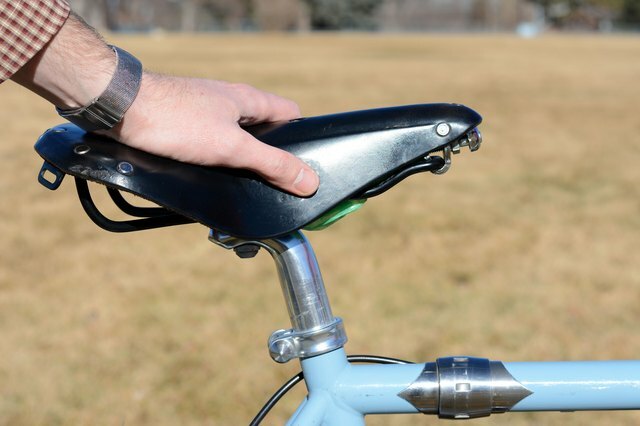 The first tip everyone should know is to take time to adjust your bike saddle to fit your body dimensions. A saddle in the wrong position can make riding your bike for any length of time very unpleasant. It can also potentially lead to injuries. The best way to do this is by following the instructions in the bike manual exactly. You could also just visit a professional cycling shop and ask someone to adjust it for you. Wearing the right cycling shirt and shorts is critical. Baggy or heavy clothes can become caught in the bike gears or cause you to sweat unnecessarily. A good cycling jersey will make you more aerodynamic. It also wicks away moisture and allows your skin to breathe. Cycling shorts help to support your muscles. Cycling shorts will not catch in the gears either. You want to study your bike and the accompanying manual to learn the proper way to maintain and repair it. You never know when your bike might break down on the road. You will also need to tune your bike regularly to get the best performance. Learn how to repair flat tires, fix popped chains and tune the gears. Get the tools you need to do this and carry them with you whenever you go cycling. You will want to switch to clipless pedals as soon as you can to improve your cycling experience. Clipless pedals will attach to nearly any bike. They are accompanied by cleats that you secure to your cycling shoes. Clipless pedals lock your feet to surface without straps or anything else. They allow you to get maximum power every time you push down with minimal strain on your muscles. They are also safer than other types of pedals. A final tip is to refine your brakes to make the bike easier to control. You want to make certain that the brakes can be easily reached by your fingers and hands. Ensure you can easily pull the brakes back to different degrees without fighting against the mechanisms inside. This is going to improve your safety while cycling and increase the amount of control you have especially when moving fast. You do not want to take anything for granted when cycling. Small oversights or mistakes can have big consequences once you are cycling on busy streets or moving very fast. Following these tips will help you to be a better cyclist and avoid common problems. Not most people are comfortable with the outdoors where there are rough terrain and other impediments, and this means that a certain niche of people prefers to ride on tracks and paved roads or in indoor arenas. It is this group of people that requires the services of road bikes. These are the bikes that are easy to use on ordinary roads especially in competitions. There are many specialized brand name road bikes available for use in the market, and this means that competitions are more often than not colorful. The road bikes are made according to the manufacturer’s designs meaning that different brands will have different weights, colors, and branding techniques. Road bikes offer the rider a different experience from the conventional bicycles in that they are made with tires meant for smooth rides along paved roads. Smooth riding is important during competitions as the tires provide traction that ensures that turns and hills are easily maneuvered. Road bikes are on high demand for people in active competitive racing, delivery organizations, scholars and people who ride to work. The ease of riding ensures that the riders get to their destinations without being tired which is important for scholars and workers. Most of these road bikes come with their branded apparel and gear that depends on whether the brand is high end or low end. Performance is everything in competitive racing, and this means that the brand manufacturers will go to great lengths to advance the performance of their products. Knowing which brands offer the best equipment, and road bikes offer the rider an edge in competitions and less soreness and fatigue. Most road bikes in Malaysia are used for commuter transport and exploration purposes, and although the brands vary from person to person, the common denominator is the ease of use. Most places within the cities have road bike pavements and malls, and office places have parking spots for employees and clients who use this mode of transport. Road bikes do not offer much regarding trails within parks as they are not designed for such use but the experience of exploring the city skyline’s whether it is daytime or night is indescribable. Competing on the tarmac surface from city to city is also an opportunity to maintain one’s fitness and enjoy what a road bike has to offer. Depending on the brand, there are smaller lighter road bikes that are designed for use in indoor competitions, and this means that the weather not need be a factor on when one can ride these bicycles. Specialized brand name road bikes also come in a variety of forms that will allow disabled people compete or just enjoy a ride within the cities of Malaysia. It means that the experience and the uses of these road bikes are inexhaustible and apply to all people despite their age, gender, disability or social standing. The branding of such road bikes is not just a marketing gimmick but also helps the user identify the brand that provides the best quality bikes in the market. It doesn’t matter if you are riding a mountain bike or an MTB. It doesn’t even matter if you are riding a 10k on your mountain bike in Malaysia, every rider needs to step up his/her game. I am writing this content for every rider out there. It doesn’t matter if you are just starting out, you can still benefit from some of these helpful tips. This goes for those of you who are riding in a race or just doing it as a hobby. Do you know how many accidents happen each year? These accidents happen all because people do not wear their helmets. Wear a helmet. If you don’t know which type to buy, speak to the sports guy in the mall. He can tell you which helmet is going to be best for you. What sort of frame do you have? Figure your frame out before you go buying. You need a bike that works with you when you are standing and straddling. You need to be comfortable at each turn. Take a look at where your handle bars are. Are they sitting one inch lower than your seat? they should be. Do not just ask the guy on the corner about this. Speak to someone who does this for a living. Sometimes it’s best to go talk to another rider. If it’s not going to fit your perfectly in every way, it’s not for you. This bit of advice goes for anyone really, especially if you have not ridden your bike in a while. Begin slowly. Try some slow pedalling for 30 minutes. Do this on an even terrain. Do this for a few weeks. gradually build up to where you need to be. It will take some time. Do not rush it. Remember, slow and steady wins the race. Here’s a hint, this is not the time to wear what you would be wearing to the spring formal. You need to dress for comfort. You do want to look stylish, but comfort is going to be your number one concern. Lots of men and women wear sweats in the fall and winter. During the summer they wear bike shorts and t-shirts. If it’s going to be rainy out, dress for that. Add extra layers when it gets colder out. When it comes to the bike shorts, the seams should not be in the crotch. You need material that will handle the sweat. Talk to someone in a sporting goods store. This is a sport, you need to treat it as such. This is always a sticky subject for some of you. The idea is not to get yourself killed. Most accidents happen between 6-9 pm. If you are going to go out during this time, wear bright colors. This is especially true for those of you choosing to ride near traffic. You will also need to get protection for your bike. Get a light for your bike. It is nothing fancy, you just need a small strobe light to let people know you are there. If you are that person who frequently travels on a bicycle, and you want to go with your bike everywhere, then you need a folding bike. A folding bicycle is a bike that you can fold into a smaller and more compacted form. Since folding bicycles are smaller than ordinary bikes regarding the overall size, they can be carried to buildings or offices easily and hoarded in your cubicle during the daytime. They can be as well be brought into public transportation like the train or kept in the truck of a car. Here are some of the benefits of bicycle folding. It is very easy to travel by bike that can be folded into something small to any place of your choice, for instance if you are going for a vacation and you need a bike; you can fold your bike and carry it in your car truck. This experience will maximize your capability to seize precious cycling opportunities. Bicycle folders are also idyllic for those individuals who are flat dwellers, where space is limited. Even in a big room, the capability to hoard your bike in the under-stairs cupboard assures the security of your bike, warm, dry and ready to use it anytime. A folding bicycle will permit you to combine cycling with other modes of transport such as trains letting you make speedy, independent, door-to-door journeys faster than you ever believed. The possibilities of a cycle tourist are even more thrilling. Imagine being capable of hopping effortlessly on buses and trains in far-flung localities, lengthening your range of travel way beyond your normal abilities. Cycle touring traditionalist might scoff, but your main objective is exploring the world rather than cycling every last inch, and then a folding bicycle tour takes some beating. The contemplation of your bicycle disappearing from the cycle rack is an issue of the past when you have your folding bicycle because you can go with your bike any place you want. Many compact folding bicycles are tiny enough to sit inconspicuously under your desk at your office. If you need to pop into the supermarket for bread and milk on your way home from the office, you can fold up your bike and take it with you. At your house, the bike can stay in a safe location in the house, rather than in the unprotected environment of the shed or garage. Another security point is that folder bikes are an alcove product that many thieves will not dare to touch. A folding bicycle is much convenient compared to any other model of a bike. It implies that you will use it more and find more opportunities to reinstate heavy carbon trips. Individuals who cycle for leisure purposes can benefit too. If you are using a van to get to your destination, it is much more economical to store your bicycle in car truck rather than on a roof rack or rear-mounted cycle rack. They are many benefits of using folder bikes; you can find more at http://www.usjcycles.com/bicycles/folding_bike/. Cycling Tips: How to Become a Better Climber? For most cyclists, riding on flat plains is a pleasing experience. However, there are times when cyclists yearn to climb steeper paths, which require stamina and physical strength. Experts suggest that there is no quick fix to become a good climber, but certain tips come in handy when climbing uphill terrain. So next time you buy a bike rack to take your bike on the mountain, keep these tips in mind because your body muscles also need to be as sturdy as BNB rack brand. For most cyclists, it is very common to use their hamstrings and quads for climbing. Whenever, it comes to climbing faster, some even use their ankles to pedal faster. As a result, riders can often feel ankle pain because their joint muscles are directly aligned to hamstrings. However, most riders don’t realize that expert climbers always use their glutes muscles more than hamstrings or quads. If you ever watched, Tour de France or any other major cycling event, watch how cyclists raise their glutes to push for speed even on the flat plains. Fortunately, anyone can build enough glutes to climb steep hills with simple exercise. As such, riders don’t need a personal trainer to build glutes muscles. There are plenty of informative articles on the Internet explaining various types of glutes exercise. Another important tip is to strengthen the core muscle in the body. The core muscles are directly responsible for hip and pelvic control that provides power to the lower body. A weak core muscle is one of the most significant reasons why some of the best athletes often complain about lower body pain when climbing uphill. In reality, many of the best cyclists will also falter on hills due to weak core, which takes the brunt of pressure during the climb. Once the core is established, it is very easy to stabilize by transferring power to the pedal. During steeper climbs, most cyclists forget that they need to ride out of their seats frequently. By riding out of the seats, different lower body muscles can get ample rest to power up for the long ride. In addition, if the cyclists understand how to balance the weight properly, cycling uphill by riding out of the seat helps generate immense power to the pedals. Similarly, most cyclists make the mistake of bending towards the steering while climbing. However, the position is against the law of physics, which dictates that riders need to put their weights further back by lifting their chest to balance the inertia. Also, remember to climb at a steady pace as it will help your body transfer body weight equally to all muscles that consistently play their part in generating additional thrust required for climbing. Whether it’s a casual hobby or a lifelong passion, cycling is great exercise and a fantastic excuse to enjoy the outdoors. Here are some tips that will help beginning cyclists reap the full benefit of their new pastime. No one wants to think about the possibility of being involved in a fall or collision while cycling, but it’s important to be safe and protected, just in case. Bicycle helmets are close to 90% effective at preventing brain injury when fitted and worn correctly. Ensure your helmet is a snug fit, and remember to replace it if you’re involved in an accident. In addition, outfit your bicycle with a headlight and a blinking taillight, especially if you plan on riding at twilight or after dark, and consider adding reflective tape to your bike frame as well. Wear brightly colored clothing that’s easy to spot — the more visible you are, the better. You’ll enjoy your rides more if your bicycle is the right size. Reputable dealers will be happy to help find the ideal frame for you, so don’t hesitate to ask questions at your favorite local bike shop! They can also recommend the best seat — your selection will depend on your gender, the type of riding you want to do, and the spacing between your “sit bones”. Some saddles include special cut-outs or gel pads to ease friction and pressure. Make the right choice now and your posterior will thank you later! 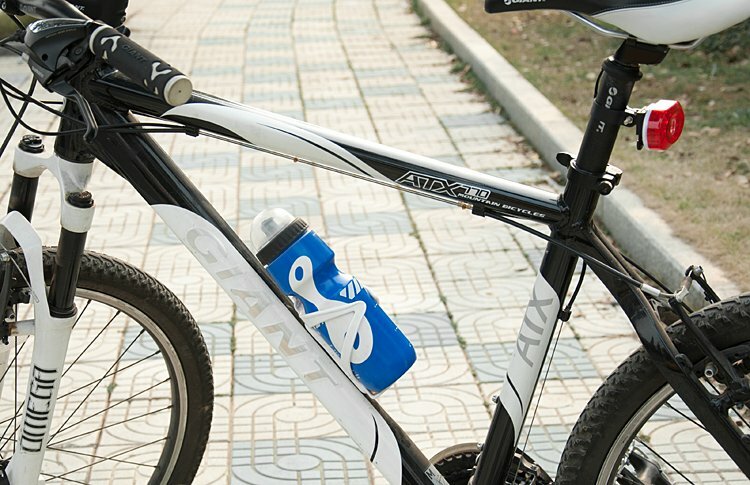 You’ll also want to stay hydrated, so remember to fill those water bottles before each ride! Consider what you want to wear and carry while cycling. Moisture-wicking, close-fitting clothing is essential to keep you dry and comfortable while reducing friction. You’ll need cycling shoes if you use clipless pedals. You’ll also want to stay hydrated, so remember to fill those water bottles before each ride! Longer rides may require energy-rich snacks as well. Look for cycling jerseys with pockets for protein bars and energy gels, and you’ll always have a quick boost at your disposal. If you’ll be transporting your bike by car, don’t forget a quality bicycle rack as well to keep your investment safe. Solo rides are great for calmness and balance, but there’s nothing quite like heading out on a group ride. Seek out cycling groups in your area and surround yourself with new friends. You’ll find everything from slow, easy rides for beginners to advanced, long-distance treks. Riding as part of a group increases your visibility to passing motorists and motivates you to keep going. A little planning and prep work will go a long way toward making cycling a fun, enjoyable, and beneficial new pursuit!